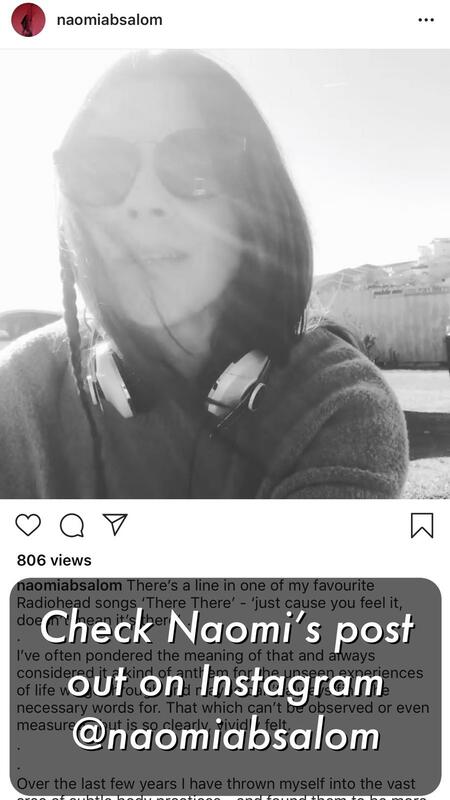 @NaomiAbsalom recently posted a video on Instagram about ‘gentle’ yoga and how patronising the term is. ‘Gentle’ is often used to describe the more subtle body practices of yoga; the practices I’m a huge fan of for both my own practice and in what I teach. I truly believe that yoga is for every body and is about far more than physical ability and prowess. I’m so grateful that I get to teach a range of classes to many different people as it helps me to remember that it’s not one size fits all. It means I have to consider alternative poses and options for people who perhaps can’t kneel or lie down on the floor or stand for too long. One of the best teachers I’ve ever had was an amazing and inspirational woman called Saliha Rashid. She’s blind and I worked with her one to one for a long time. She taught me so much, especially about the language I use to teach. We used a lot of touch in our sessions so she could feel how I was moving, which enabled her to then feel that in her own body. It was a fantastic learning experience for me and made me a much better teacher. Whatever our approach to yoga, we need to make sure that as teachers we are not making people feel uncomfortable, we are not making things seem unattainable, we are welcoming and supporting them whatever their shape or size and we are teaching classes that are suitable for the people coming along. Early in my training, I remember Judith Hanson Lasater saying we’re “teaching people not poses” This wisdom has stayed with me. I also remember a wise teacher Tiffany Thorne who I studied restorative yoga with, talking about how we should play around with poses so we can offer alternatives to both poses and props and find different ways of experiencing poses so everyone can experience the essence of the pose. This is something that has stuck with me and I play with poses all the time. For example, child’s pose can be practised lying down; pigeon pose can be practised on a chair. We don’t have to do the full pose to experience the essence of it; adjustments can make this possible too. During pregnancy, it goes without saying that women’s bodies change week by week so the yoga they practice must change too. Pregnancy yoga is extremely beneficial, however it’s essential that alternative poses are offered during the class as some women may find it difficult to get to the floor and others may be experiencing fluctuating energy levels. 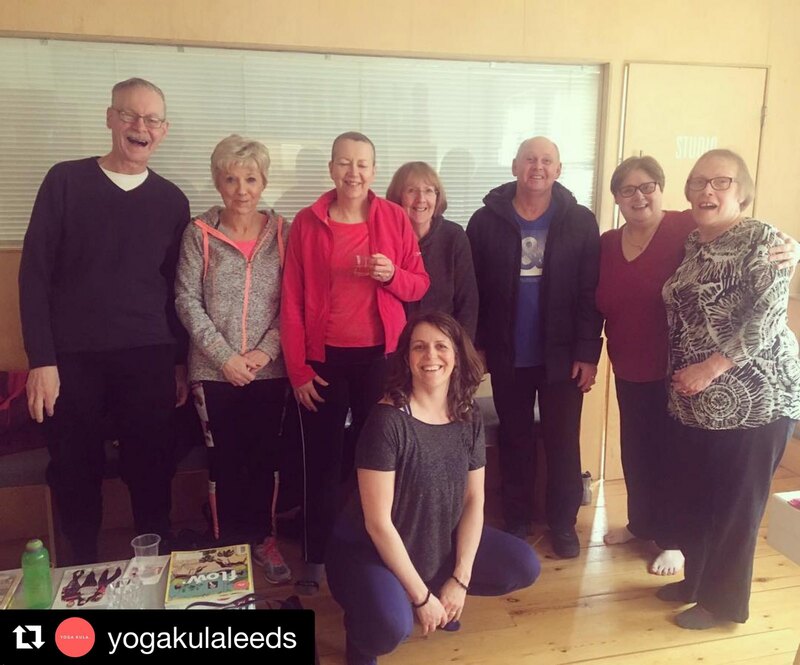 I also teach a regular Yoga for Living with Cancer class for anyone who has an experience of cancer whether recently diagnosed, in treatment, in remission, in the palliative stages or in the role of carer. So, as you can imagine, people come along for a variety of reasons and with varying degrees of ability. Yoga can’t cure cancer but the most important thing about this class is that the students came along and that they experienced the yoga. It’s important not to think of props as only being only for the less able or for restorative yoga. The use of props in any class can make people feel safe, secure and cradled; they allow people to go into a pose further than they would otherwise do; they allow people to let go; they allow people to experience the pose safely and from wherever they are. So for me, ‘gentle’ really is the new advanced… (this came from a yoga teacher I admire J Brown Yoga who records lots of podcasts to get us to think about what’s going on the yoga world – I recommend you check his website out). 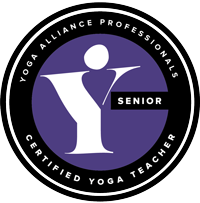 I would love to hear about your own experiences in classes and whether you have been put off by what was said or how you were treated in the yoga class. I am, of course, a work in progress and don’t always get things right (who does?) but this is a regular topic of reflection for me with regards to my teaching. If I don’t get it right, I go home and think about what I could have done differently. I try things out with props in an attempt to put myself in the other person’s shoes to see how I might be able to approach things differently next time and offer something that might work.